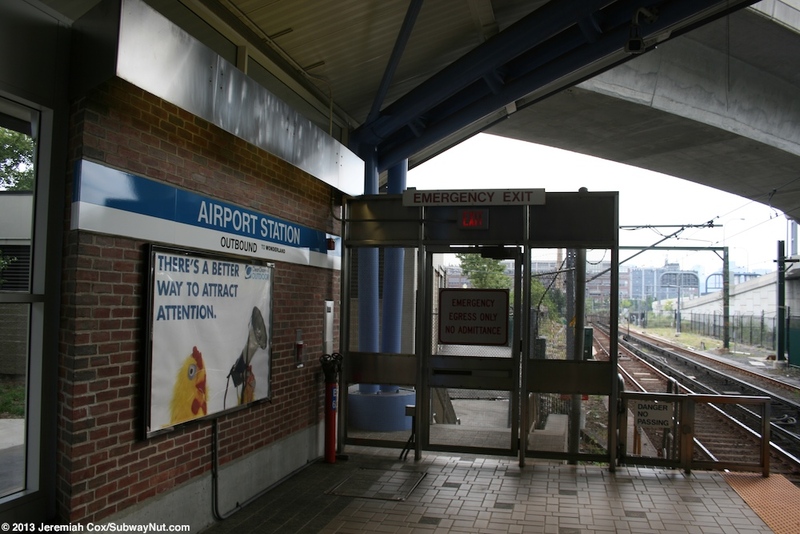 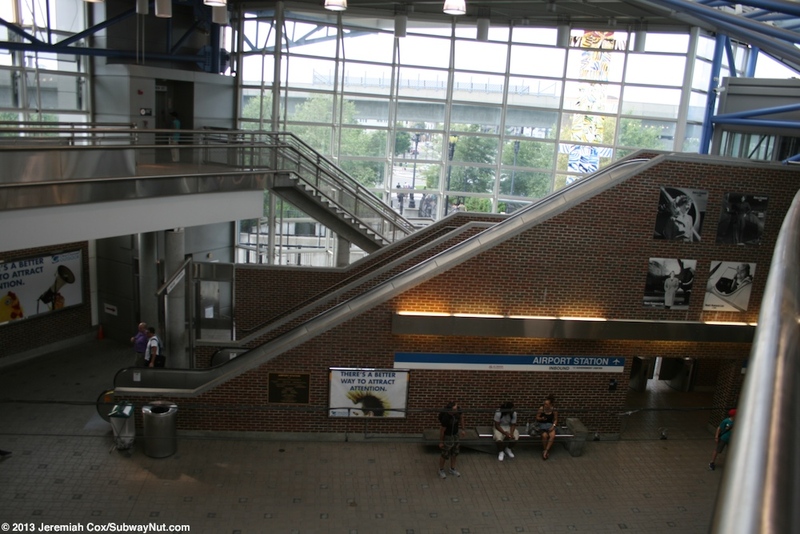 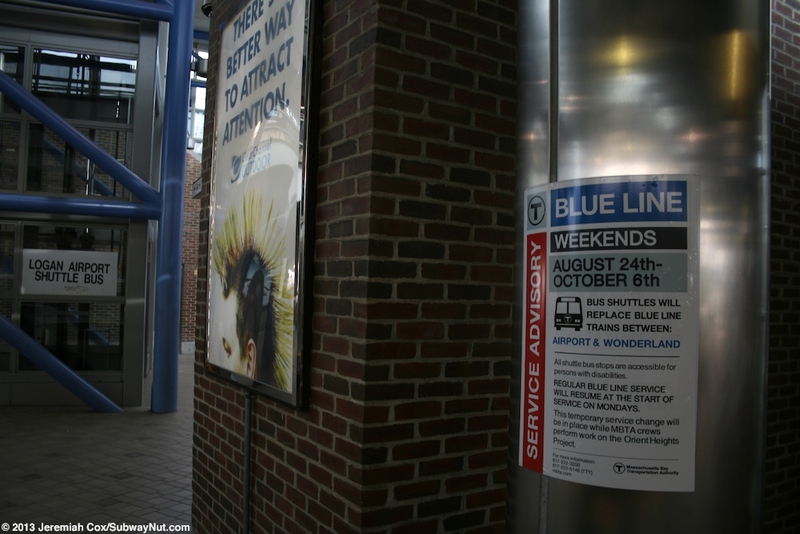 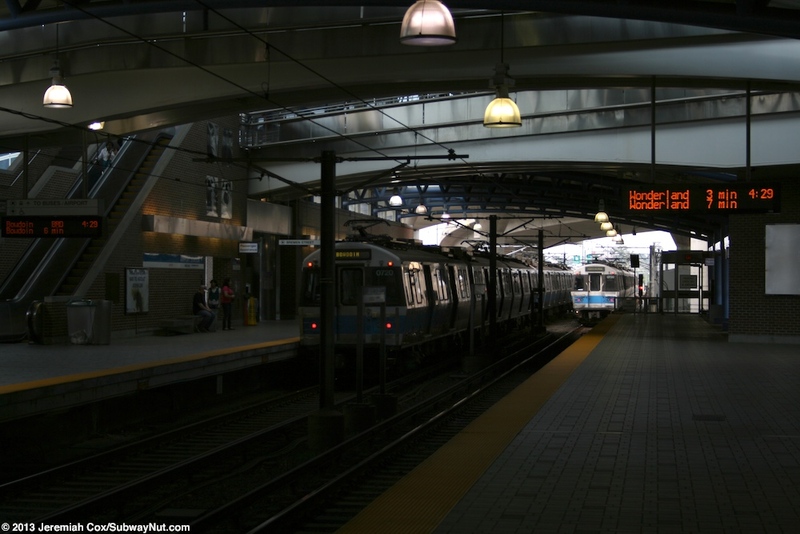 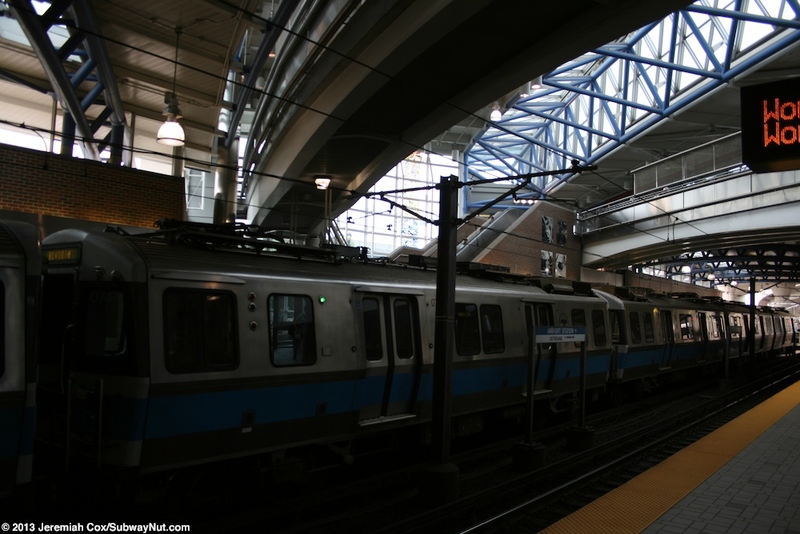 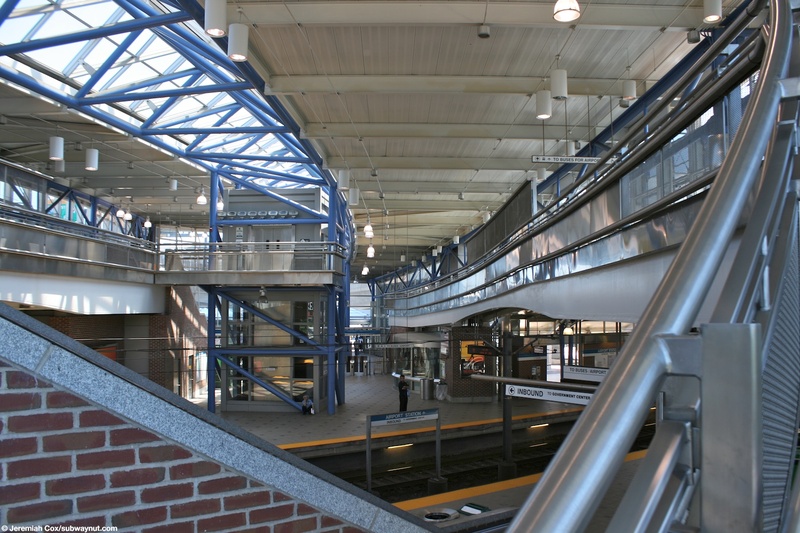 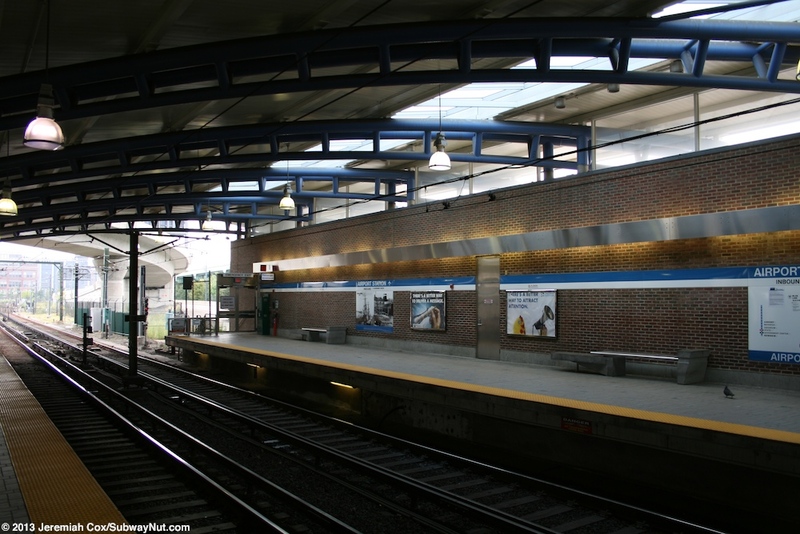 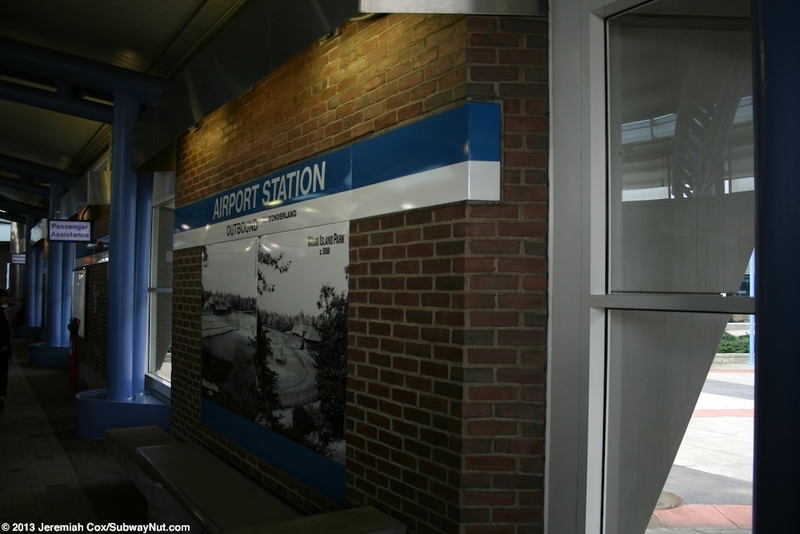 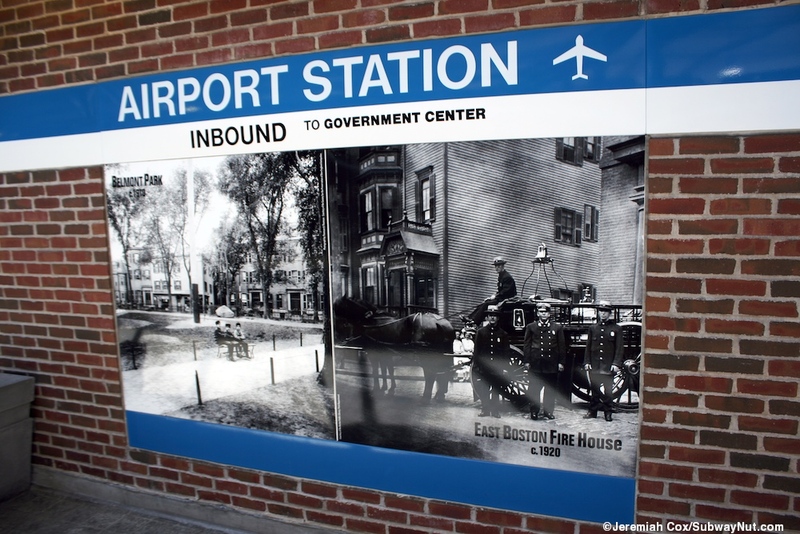 Airport Station is a recently rebuilt stop on the blue line and where passengers can switch to free Massport shuttle buses to the airport terminal. 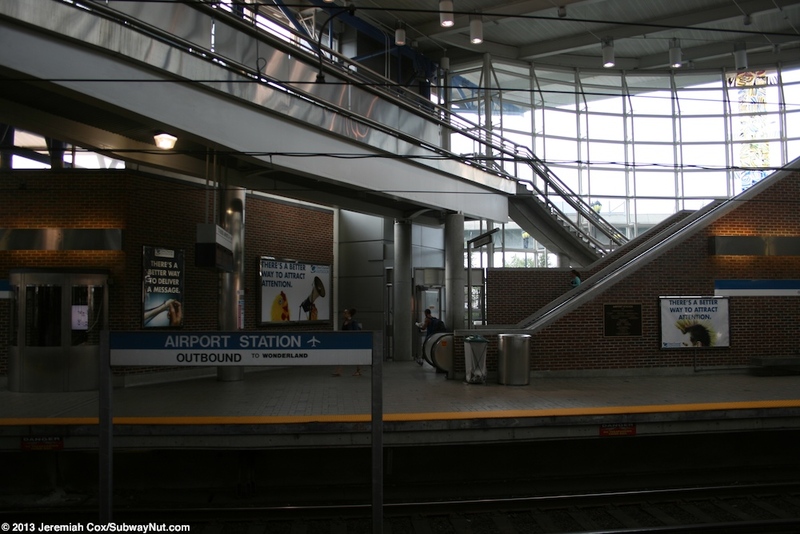 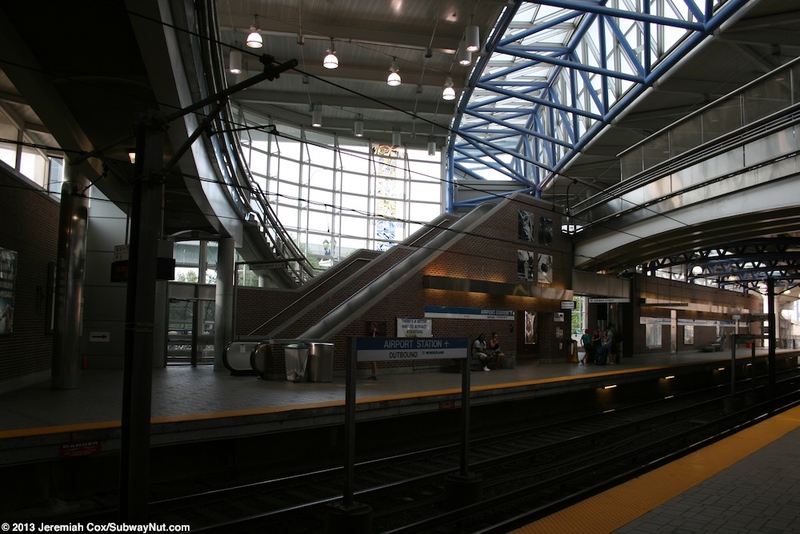 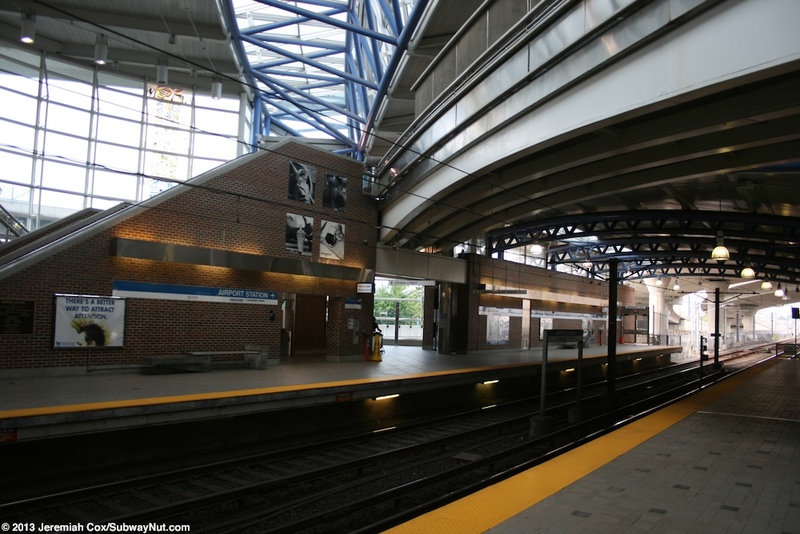 The stop has a high ceiling that covers the entire station and its overpasses that connect the platforms both within and outside of fare control with fare gates on either side along both platforms. 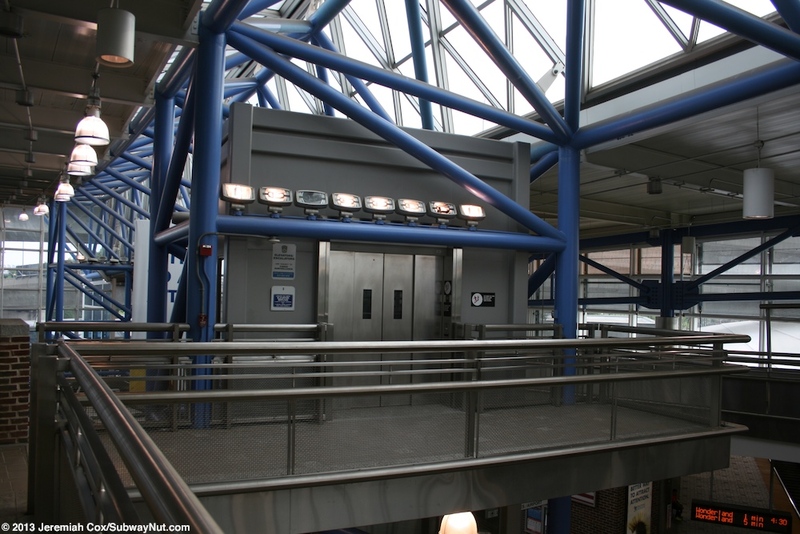 The overpass within fare control has both up and down escalators plus the required staircase and elevators. 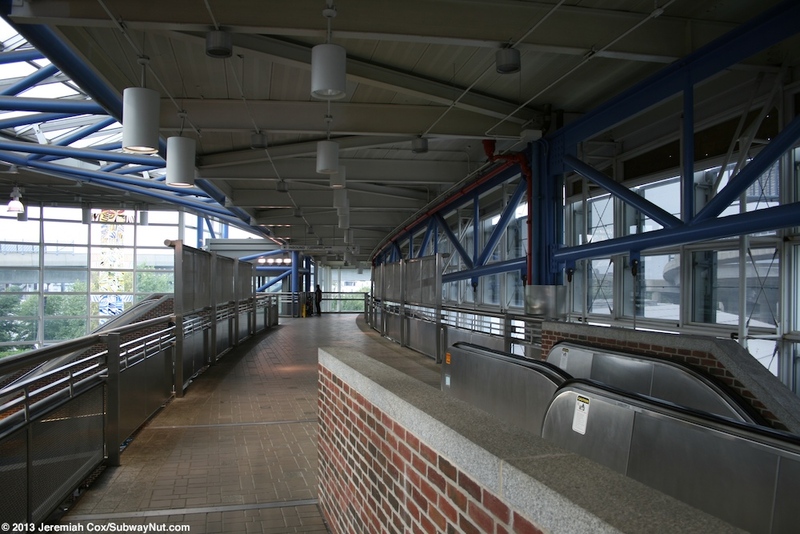 The outside of fare control overpass is more simple without the escalators and just staircase/elevator access. 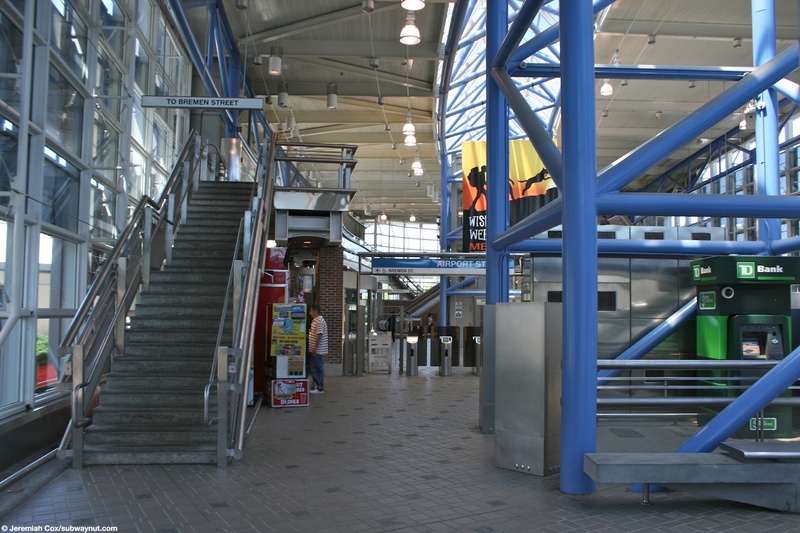 The entire station is a building with doors into each entrance on both sides of the station. 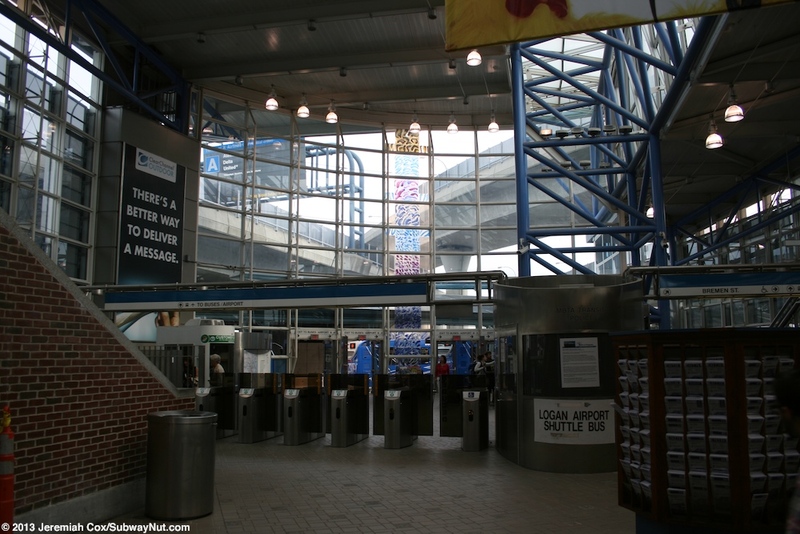 The Massport Shuttles (running on two routes) depart from a bus stop with a modern canopy on the outbound side of the station. 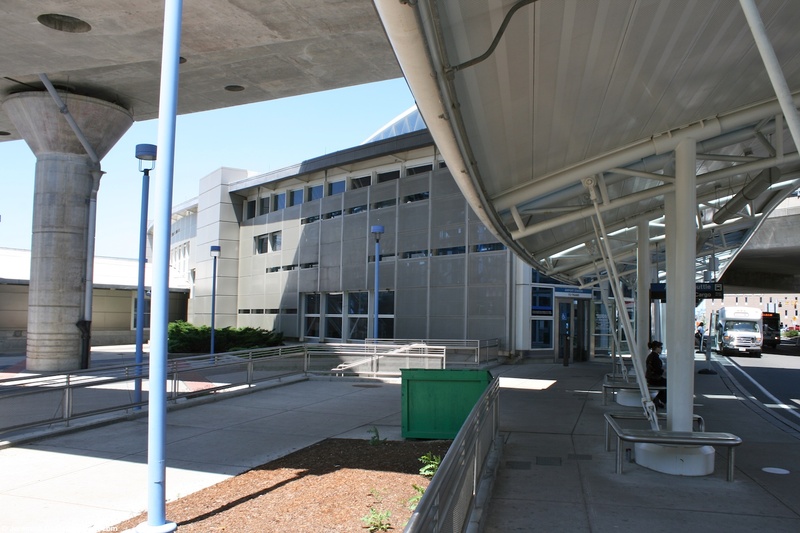 The inbound side of the station has access to the surrounding community via a walkway across (at the same level of the station) the trench that leads to the on ramps to the Sumner/Callahan Tunnels and then a footpath through Bremen Street Park. 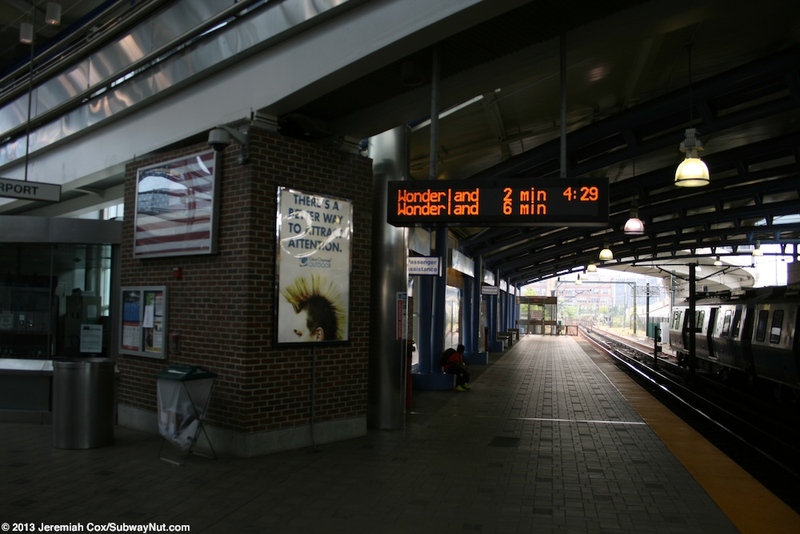 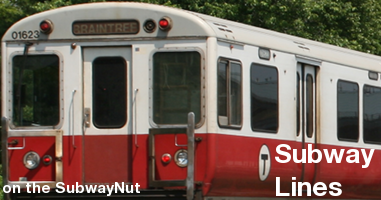 The stop is also the location where electrical supply changes from the third rail used in the tunnel section into downtown Boston to the overhead pantograph wires built for more resistance from flooding and the sea air this line must contend with out to Wonderland. 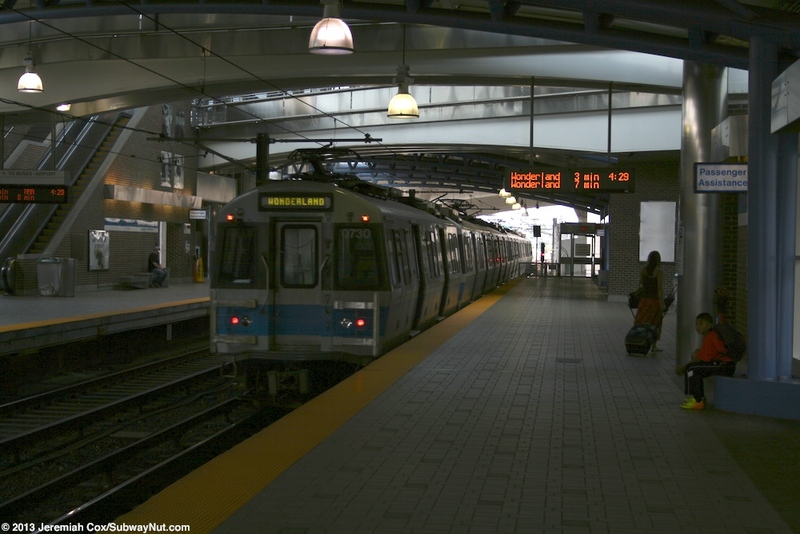 This Website is maintained and copyright © 2011, Jeremiah Cox. 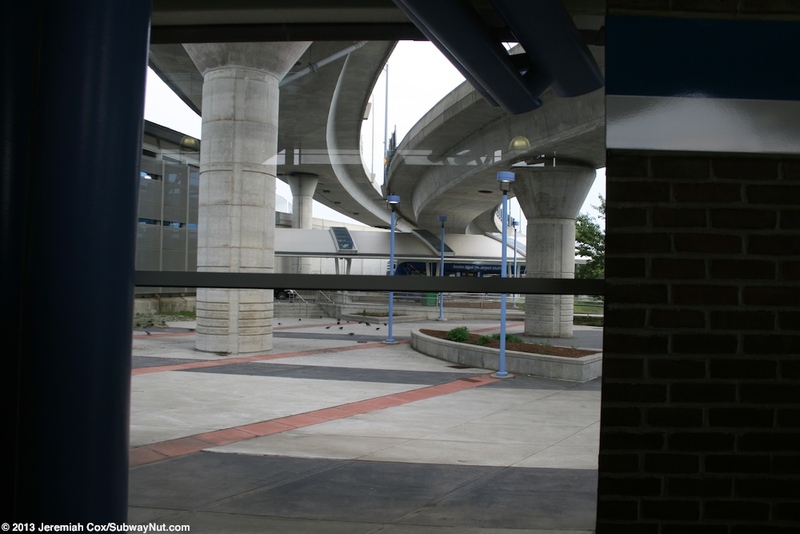 Please do not remote link images or copy them from this website without permission.